WMExperts got their hands on HTC Touch diamond and did a full video review and large photos gallery. I'd like to offer my professional opinion after carefully watching thru the video. The new Interface - TouchFLO 3D skin is in fact working pretty decent and nice , as long as you stay in the skin skin limits, slightly to left or right and you are greeted with same old ugly Windows Mobile 6.1 interface, which is pretty annoying to use with just fingers. So - Interface - 5 points for stealing most of iPhone interface ideas, -2 points to fail make it iPhone smooth and intuitive, -5 points for fail to make it fast and -10 for having to use Windows Mobile native applications , like email - I don't blame HTC on that, Windows Mobile 6 wasn't built to controlled by touch. Interface still looks and feels in beta - It feels unpolished in places - like some gestures would feel unnatural and some controls way to sensitive to easily use. Btw: A little known fact: did you knew Windows Mobile 6.1 is based on Windows CE 5.0 Core OS which was released on July 2004! So regardless of HTC's best intentions you can teach old dog only so many new tricks. Here I need to confess and eat my socks - I was wrong - New Opera Browser developed for Diamond is a FULL Browser with Web 2.0 support and even Mobile Flash, Something iPhone 3g may have or not... I wasn't impressed by rendering speeds or the fact it took several second for page to rotate in horizontal mode. Speaking of rotation delay feels like couple of seconds delay in rotating pics as well. 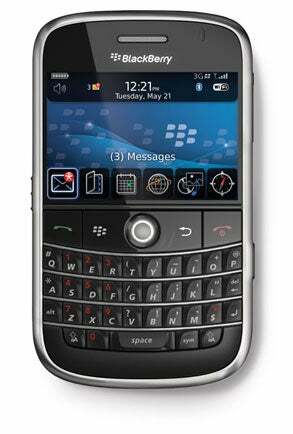 Keyboard: Or the lack of it :) , similar to iPhone, Diamond uses on screen keyboard, but instead of full layout, they went ala Blackberry Pearl with 2 letter per key. The decision was most likely due to fact the screen size of HTC's phone is smaller ergo having full letter layout would make keys in vertical mode WAY too small. My opinion on whole thing is - Great attempt, but still lots of "rough edges" needs to be polished out before it be a winner, like upcoming Windows Mobile 7 which based on Windows CE 6.0 (originally from Nov 2006, but development of 6.1 is in process) which will add Multi-Touch support and I believe is going to me Microsoft's first mobile platform designed to be touch controlled. Plus lets not forget my previous argument about headphones plug stay true..
Why HTC Diamond Touch will fail. This one is a shocker to me personally, despite ending up paying $440 for 3G one instead of $400 for classic iPhone (24 months x $10 extra for plan) looks like AT&T decided to jack you up even more and cut the "free" 200 monthly SMS messages. AT&T is facing a trial in the US Supreme Court over alleged antitrust violations concerning access fees to the internet. Posted by BoredSysAdmin at 12:57 PM . Microsoft has sent a letter to customers saying that it will extend critical support for Windows XP until 2014, three years longer than is usual. The company also pledged that its next operating system, Windows 7, will be available by 2010. 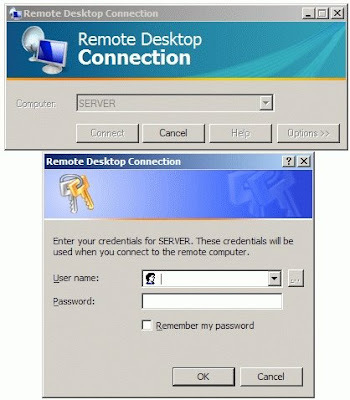 In the meantime OEMs will be able to supply systems with Windows XP preloaded as a 'downgrade' until 31 January 2009. Given that Microsoft usually supports operating systems for only 10 years after their launch, the move can be seen as an admission that it is expecting some businesses not to bother upgrading to Vista. "Windows Vista is a very significant step forward, but our customers have made it clear that they want broader support for devices and applications in order to enjoy the overall experience," says the letter from Bill Veghte, senior vice president of the Microsoft Windows Business Group. "Why HTC Diamond Touch will fail". This time I'd like to update the comparison for recently announced iPhone 3G and try to determinate if HTC's device future is as dark as I originally painted it. (*2) "it uses Opera as a web browser and I had yet to get that to work. It just will not connect to the internet." (* 3) Same as in Iphone 1.0, rumored to be replaced with newer 65mm core next year. (* 4) Since Apple didn't provided how Standby time was measured, we can't conclude any results, but talk time much better! Surely you can see both device came really close, but in this case it's HTC playing the catch-up game and still somewhat behind. Probably the most interesting iPhone news of the day is (rumored) announcement of device's full price in UK and Italy. 3G iPhone with 3Gb will cost you £370 (about $730) and for 16Gb -£470 ($925) - Ouch ! Japanese iPhone carrier SoftBank has revealed pricing details for the handset. In a statement the company revealed that it will offer the 8GB iPhone 3G for 23,040 yen (around $215), while the 16GB model will be sold for 34,560 yen (around $322), subsidized. According to a Reuters report, the company expects the monthly charges for iPhone customers to be 7,280 yen (around $68), including unlimited data-transmission usage. The iPhone 3G will launch in Japan on July 11. Spicy new details have been trickling in about the iPhone 3G subsidy business model. An Oppenheimer analyst stated that AT&T is subsidizing the handset with $325, instead of just $200, which is the usual amount for smartphones. That means that AT&T is buying the iPhone 3G from Apple for $525. The carrier apparently also agreed to pay an additional $100 for each new customer who signs a contract inside an Apple Store. In other news research company found out about 24% of iPhone owners switched from Motorola RAZR. I just hope I belong to other 76% who switched for other reasons, like full web browser and ipod functions for example. Posted by BoredSysAdmin at 12:12 PM . As I wrote before, Elemental Technologies together with NVidia developing GPU accelerated H.264 (MPEG4-10/AVC) encoding and previously claimed x12 times boost. Real numbers and comparisons yet to come, however lucky people at Anandtech got their hands on "severely limited beta" of Elemental Technologies' BadaBOOM Media Converter. Initial results not yet conclusive, however one thing 100% clear - it's faster than CPU alone encoding and CPU usage while using Video card right now only 20-30%, which is obviously improvement over 100% on CPU encoding alone. I usually don't want (or try not to) bring you 1 1/2 month old news, but this one was a complete surprise to me and maybe it'll be news to you too. 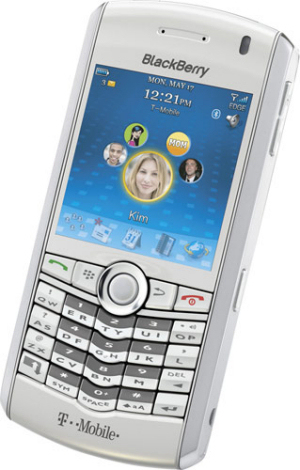 RIM is slowly cooking a first clamshell phone, a wild mix of Pearl and Sony Ericsson W580i and the first lucky ones to get it are T-Mobile subscribers. According to Internal T-Mobile upcoming device launch roadmap, and things are looking alright for current and future subscribers. The company expects to launch no fewer than 16 devices between June 16th and August 1st, including the BlackBerry Kickstart, Blackberry Bold, Shadow II, and Moto ROKR E8. Posted by BoredSysAdmin at 9:39 AM . Posted by BoredSysAdmin at 9:36 AM . Posted by BoredSysAdmin at 9:29 AM . Posted by BoredSysAdmin at 1:50 PM . Posted by BoredSysAdmin at 10:04 AM . Posted by BoredSysAdmin at 3:37 PM . Posted by BoredSysAdmin at 1:34 PM . Samsung i900 Omnia jumping the boat and announcing new model few hours before the actual announcement. Now is it just me or all the phone mentioned above have "something" in common? "While this isn’t specific to the Touch Diamond, we really wish HTC would reconsider their all-in-one min-USB jack. It’s great for charging and file transfers, but especially considering the media-centric appeal of the Diamond, we would appreciate a 3.5 mm headphone jack, as the current configuration limits you to the HTC-supplied headphones unless you’re willing to deal with a cumbersome adapter." Speaking of HTC Diamond Touch - It's not tri-band HSDPA as you'd like to be, HTC says device will localized due to size constrains. Do you have Issues updating Microsoft Office 2003 via Microsoft Update (not windows update) after WinXP Pro has been updated to SP3? Posted by BoredSysAdmin at 2:49 PM .